Alcohol And Steroids Consumed Together: Is It Safe? Mixing alcohol and steroids can lead to serious behavioral, physical and health complications. Individuals who already abuse alcohol are more likely to abuse other substances and drugs, such as steroids. Drinking alcohol while on steroids can lead to serious health problems and seeking help on time is crucial. How does the combination of alcohol and steroids affect health? How does alcohol affect corticosteroids treatment? How do alcohol and anabolic steroid use affect health? What is the statistics on mixing steroids and alcohol? The alcohol and steroids side effects are severe, and the most significant risk is a high level of liver and kidney toxicity. In time, the liver can be overexerted by the combination alcohol-steroids, eventually leading to cirrhosis and even liver failure. But there are also psychological steroids and alcohol side effects which can permanently affect the brain, similar to taking weed and alcohol together. Before looking further into the taking steroids and drinking alcohol issue, one should know that there are two main categories of steroids: those prescribed for medical conditions and anabolic steroids. Many people who are allergic do not know that steroids for poison ivy and alcohol don’t go well together. Both corticosteroids and alcohol suppress the immune system, making it more difficult for the body to fight infections. The steroids and alcohol combination also increases the blood sugar beyond the threshold for diabetes, can irritate the gastrointestinal tract and lead to peptic ulcers. Drinking alcohol with corticosteroids like prednisone can even make bones brittle and thin, leading to an early onset of osteoporosis. The results of mixing anabolic steroids and alcohol can be devastating, possibly leading to kidney or liver tumors, infertility, prostate cancer, paranoia, increased violence and aggression, impaired judgment and even depression and suicidal thoughts. According to research published in Annals of Epidemiology around 3.3% of the world’s population has used steroidal drugs at some point. 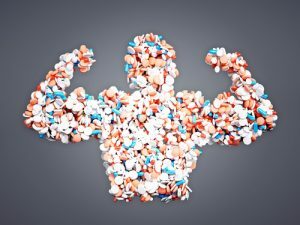 Those who are more likely to become addicted to steroidal drugs are male non-athlete weightlifters in their 20s or 30s, according to the National Institute on Drug Abuse (NIH). The NIH also states that about 32% of people who misuse anabolic steroids will become dependent and almost 1 million men in the US suffer from steroids dependence. According to the Centers for Disease Control and Prevention (CDC), more than 80,000 alcohol-related deaths take place each year and people aged 12 to 20 drink around 11% of the entire alcoholic beverages consumed in the US. The NCADD records that almost 40% of all hospital beds in the US are used to treat health conditions caused by alcohol consumption, and that alcoholism is the third leading lifestyle-related cause of death. 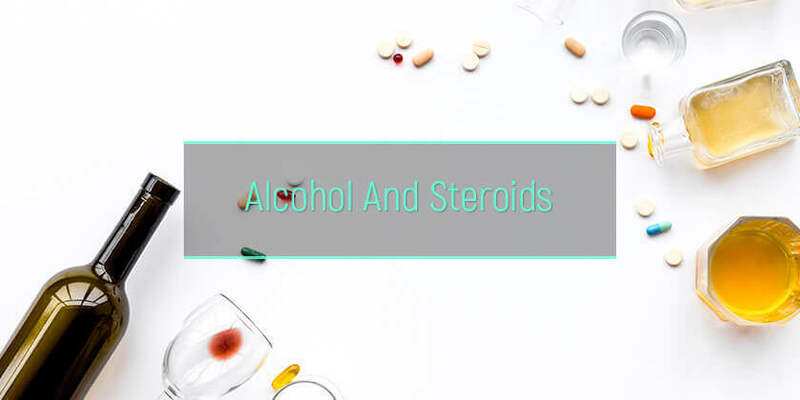 The treatment for people who have developed an addiction to drinking alcohol while taking steroids can be dealt with in specialized hospitals, clinics, and private medical offices. Similar to the benzodiazepines and alcohol addiction, the first step would be detoxification. This is achieved by cutting the intake of steroids, little by little until the body starts making the hormone on its own again. The following step is dealing with the drinking alcohol while on steroids addiction and the emotional issues that led to the drug and spirits use. There are several recovery programs for treating alcoholic drinks and steroids addiction. Inpatient treatment – the patient stays at a treatment center for some time while undergoing detox, individual therapy, a mental health evaluation, group counseling, and follow-up planning. Individual therapy – the patient has one-on-one meetings with a therapist who will use various methods to promote positive behaviors, healthy attitudes, and abstinence. Outpatient treatment – the patient receives the alcoholism treatment at home after a carefully planned schedule. Group counseling – this program is suitable for those who prefer group sessions and sharing their experience under the guidance of a mental health professional who will also answer all the questions about drugs and alcohol. 12-step program – such programs are Narcotics Anonymous and Alcoholics Anonymous. Both programs are free to join as long as the person wishes to be abstinent. AlcoRehab » Why Is It Dangerous To Mix Alcohol And Drugs? » Alcohol And Steroids Consumed Together: Is It Safe?